In winter the St. Petersburg's parks look especially picturesquely: there is a snow-white carpet shining underfoot, and palace complexes remind fabulous castles. The promenade in these places is imbued with the atmosphere of magic. It will present a lot of positive emotions to the citizens and will force them to forget about the hustle and bustle of the city for a short while. 1) State Open Air Museum "Tsarskoye Selo"
In the midst of magnificent palace and garden complex, especially in winter, visitors of the park involuntarily associate themselves with the heroes of magic fairy tales — for example, in the morning the majestic Catherine Palace is entirely frosted and glints in the sun. In such a way it reminds a castle of the Snow Queen. The parks' avenues are carefully covered by snowpack that crunch under the feet reviving the guests' spirits. Hence it is possible to walk for hours in the Catherine and Alexandrovsky parks, studying marble monuments, numerous pavilions, clapper bridges and exotic constructions. In case you’re frozen, it is worth to sally on the palace and give a touch of art or history: for example, recently in Tsarskoye Selo there was a unique collection of ancient stirrups and spurs that was collected by the French completist for long decades. The fan of winter sports with the onset of cold will be invited on Treugolnaya Square: in the midst of palace and garden complex they usually circumfuse a big outdoor ice rink for Petersburgers. And on the verge of New Year's holidays in parks weekendly they will arrange recreational events. Place: Pushkin, Sadovaya St., 7. 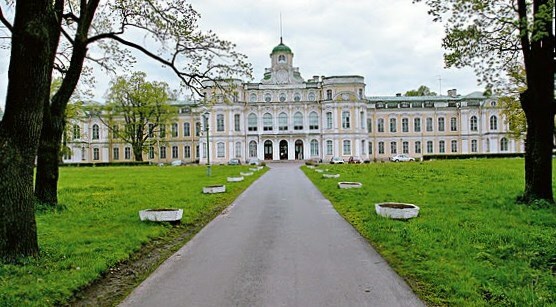 2) The open-air museum "Gatchina". During the hiking on reserve it is possible to meet a set of interesting constructions: castles, bridges and park ensemble of an extraordinary beauty. The Big Gatchina palace, the park land "Silvia", the medieval Prioratsky castle and many other things constitute a part of this reserve. Place: G. Gatchina, Krasnoarmejskyi Avenue, 2. 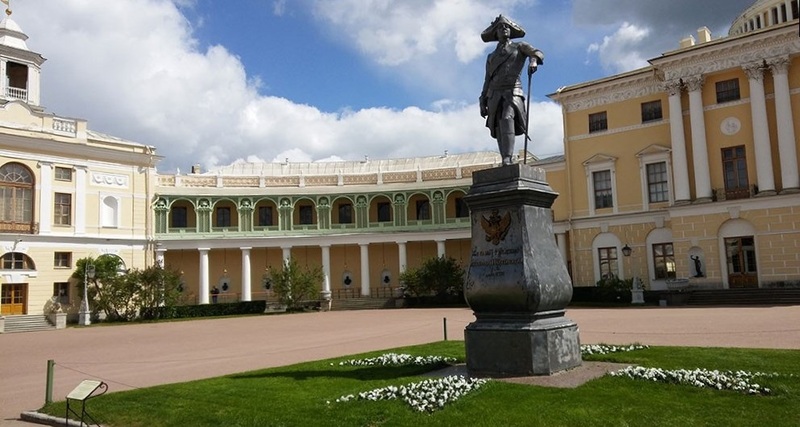 3) State open-air museum "Pavlovsk". 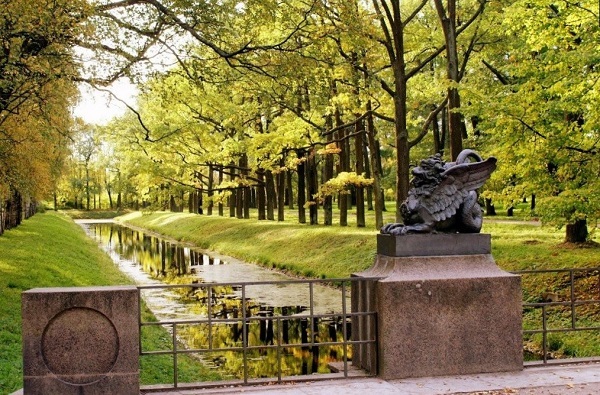 On the one hand, Pavlovsk — is one of the imperial country seats with a beautiful palace and a big park. On another hand— there is less pageantry and luxury, than, for example, in the near-by Tsarskoye Selo. Though the interior decoration of a park impresses nevertheless. It is not so easy to go round the park on foot in one day — this is a great task, and in the winter here it is possible to meet old-fashioned horse teams and sledge on which if desired it is possible to drive and remember Pushkin's verses, and from the coast of the frozen Slavyanka River the children toboggan with all their might. Place: Pavlovsk, Sadovaya St., 20. In the well-known Peterhof at least once there were, probably, all the visitors of St. Petersburg. 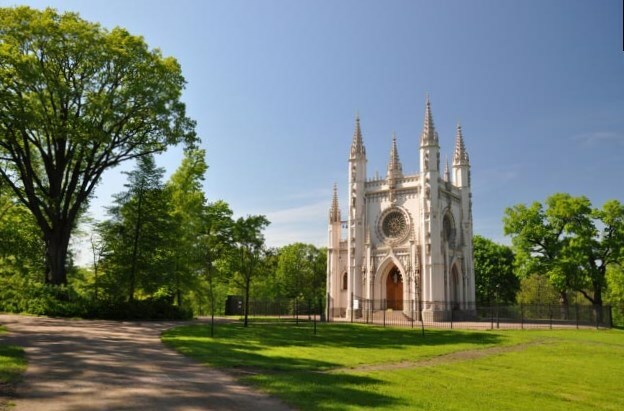 And here is his neighbor, Gothic "Alexandria", that is not really well-known even to native Petersburgers. The park consists of two terraces: lower, coastal, adjacent to the Gulf of Finland and top on which there are main architectural dominants of the park— the Cottage ("Kottedzh"), the Farmer palace ("Fermerskij dvorec") and the Chapel ("Kapella") are located. This is an excellent place for hiking with the camera and a thermos of hot tea. From different points of the park open the beautiful shows of the creek. You can have a great rest and and enjoy beautiful shows in the unique in Russia rocky landscape park on the bank of the Vyborg Bay, Zashchitnaya Bay, in a northern part of Vyborg. It is not for nothing its name is translated as "my recumbence". Get directions: From Finlyandskyi Station by the electric trains to the station Vyborg or using regular buses from the "Parnas» and " Devyatkino" metro stations. Further by bus No. 1 or 6. Place: Vyborg, Monrepo Park, 19. The sculpture of the actor Georgy Vitsin meets people entering the park, setting a cheer of cakewalk al fresco. At vacationers' disposal — wonderful landscapes of the snow-covered open spaces, fresh sea breeze and a rich history. For fans of more active recreation in park there are attractions, a skating rink and the museum of retro cars. Get directions: By bus from the metro stations «Chyornaya rechka» and «Staraya derevnya»— No. 211. Place: Zelenogorsk, Primorskoye Highway, 536a. 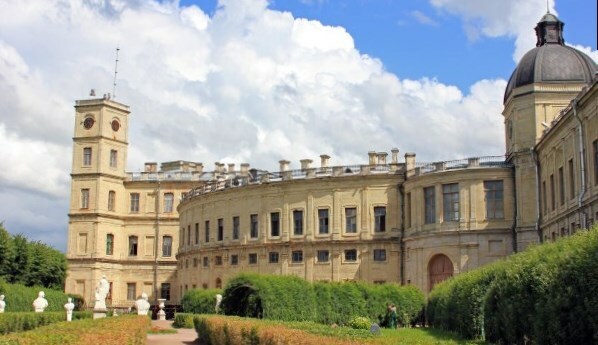 In the neighbourhood with the Peterhof Alexandria park there is one more outstanding farmstead recognized as a monument of landscape gardening art of the XVIII—XIX centuries. The picturesque park at the farmstead is divided on Verhnij and Nizhnij gardens with a set of the avenues that are wrapped up with a snow. In the Verhnij garden there are Bol’shoj and Malyj ponds on which there are cheerful celebrations conducting in winter. Place: Petrodvorets, Sankt-Peterburgskoye Highway, 115. 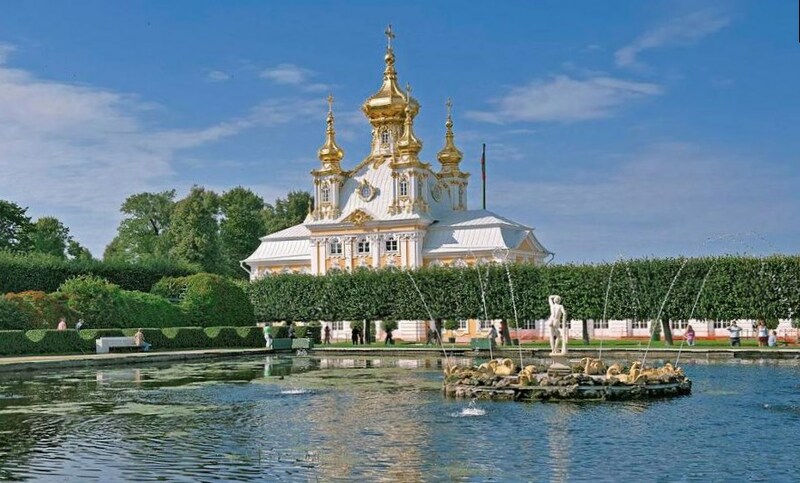 8) The open-air museum "Peterhof". It’s a long story about magnificent open-air museum. 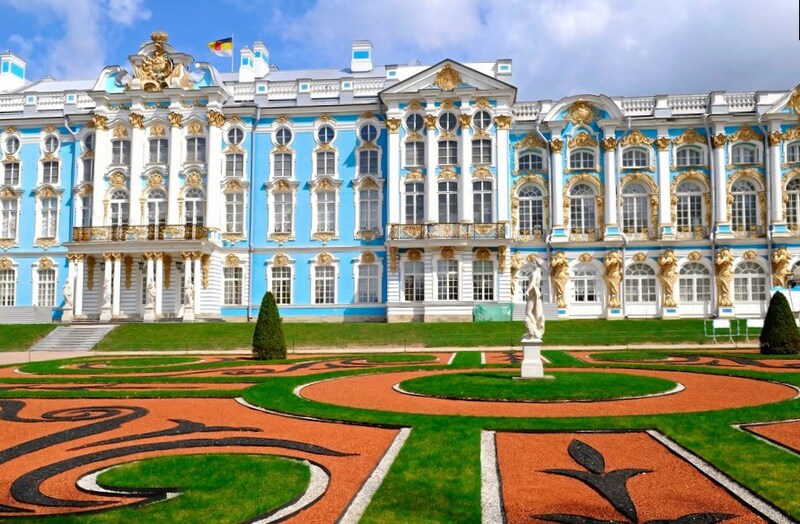 Have enough knowledge about the fact that in Catherine the Great's time a very modest palace in Peterhof was turned into the magnificent residence towering over a huge park with fountains which ensemble is often called the Russian Versailles today. At the disposal of walk fans — thereare two parks, Verhnij and Nizhnij, abounding with magnificent sculptures. The most pleasant thing is that to walk on Gulf of Finland Embankment in the midst of palaces and magnificent fountains and to study the most beautiful regular park of the city on Neva since October Petersburgers and city visitors can absolutely free of charge.